Special pujas are performed on the last Purattasi Saturday in September-October. 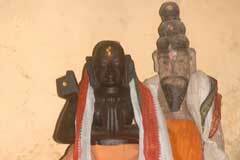 Vibishana Pattabishekam-coronation - is celebrated in the month of Aani-June-July. 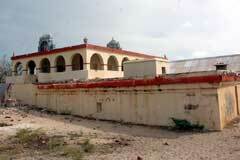 This is the place where Vibishana was crowned the king of Lanka by Lord Sri Rama. 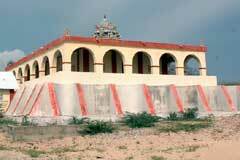 The temple is open from 7.00 a.m. to 6.00 p.m. 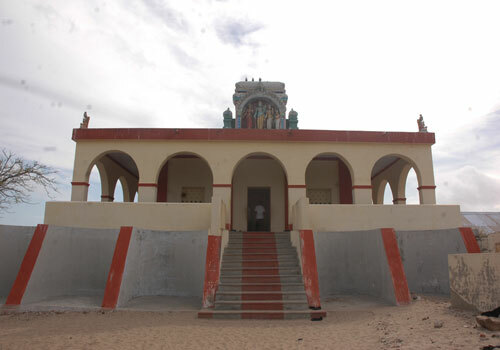 The Executive Officer, Sri Kodandaramar Temple, Rameswaram – 623 526, Ramanathapuram district. +91-4573 - 221 223, 97912 45363. Devotees offer Tulsi garlands to Lord. 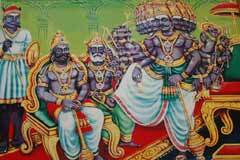 Traditionally, we see Sri Anjaneya in a worshipping form near Lord. 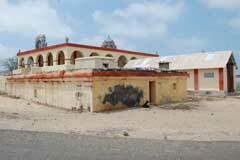 In this temple Vibishana is awarded with this right. 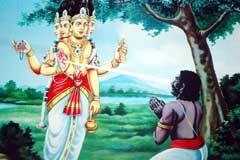 It is also noteworthy that Vibishana was offered the ‘Azhwar’ title as he was accepted by Lord. 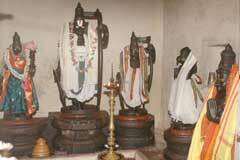 In this small temple, Garuda Bhagwan and Acharya Sri Ramanuja have their shrines. Those seeking leadership position through proper ways and to be away from the wicked pray here. Lord helps them. This is the philosophy behind the coronation of Vibishana. 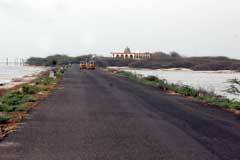 Kodandam is 12 km from Rameswaram on the Danushkodi route. Buses are available only at specific hours. 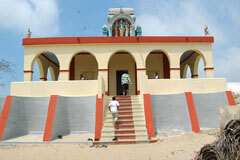 The devotee would have to walk a kilometer to reach the temple. Hotel Island Star: +91-4573-221 472.